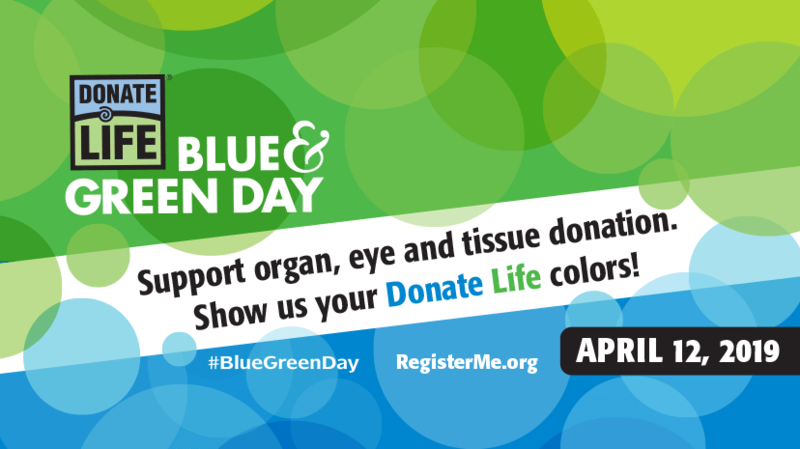 MORGANTOWN, W.Va. – Officials from WVU Medicine and the Center for Organ Recovery and Education (CORE) will officially mark National Donate Life Month to raise awareness about organ, tissue, and cornea donation and to inspire everyone to register to be an organ donor on Friday, April 12, at J.W. Ruby Memorial Hospital. Hospital and CORE officials will unveil the new donor memorial wall, located next to Hospital Administration in the lobby of Ruby Memorial. A Donate Life flag raising ceremony will begin at 1 p.m. in the Bruce McClymonds Conference Center on the first floor of the WVU Heart and Vascular Institute. Nationally, close to 114,000 people are waiting for an organ transplant, including 2,500 people in West Virginia and western Pennsylvania. At least 20 will die each day without receiving a transplant. Someone is added to the transplant waiting list every 10 minutes. Approximately 11,000 people die annually who are considered medically suitable to donate organs, tissue, and corneas, yet only a fraction donate. Anyone can be a potential donor regardless of age, race, or medical history. To register as an organ donor, visit www.registerme.org/wvumedicine. Attention reporters and editors: If you would like to cover the unveiling of the donor memorial wall and the flag raising ceremony, please contact Angela Jones-Knopf at knopfa@wvumedicine.org or Heather Sammons at heather.sammons@wvumedicine.org. For questions for the Center for Organ Recovery and Education (CORE), please contact Katelynn Metz, CORE Communications Coordinator, at 202-309-5116 or kmetz@core.org.